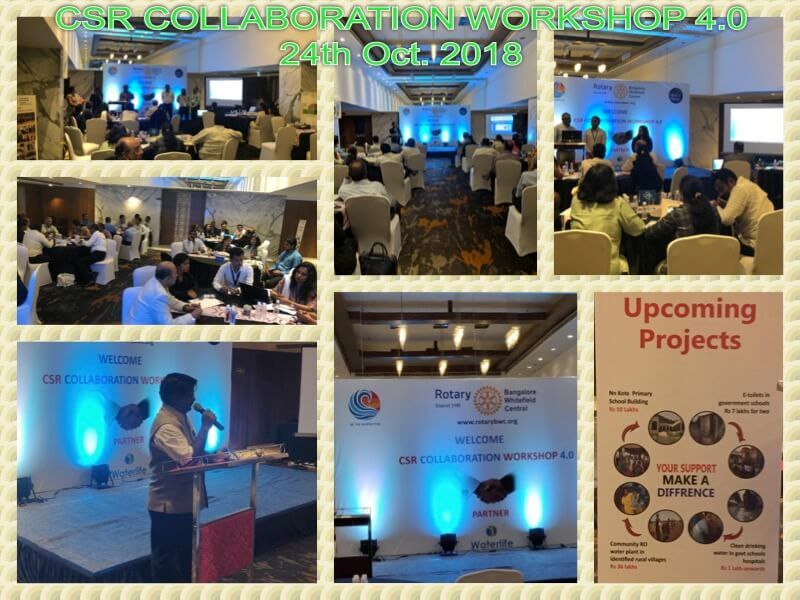 Rotary Bangalore Whitefield Central (RBWC) organized 4th edition of annual flagship event – CSR Collaboration Workshop 4.0 on 24th Oct 2018 at Hotel Four Points by Sheraton in Whitefield, Bengaluru. 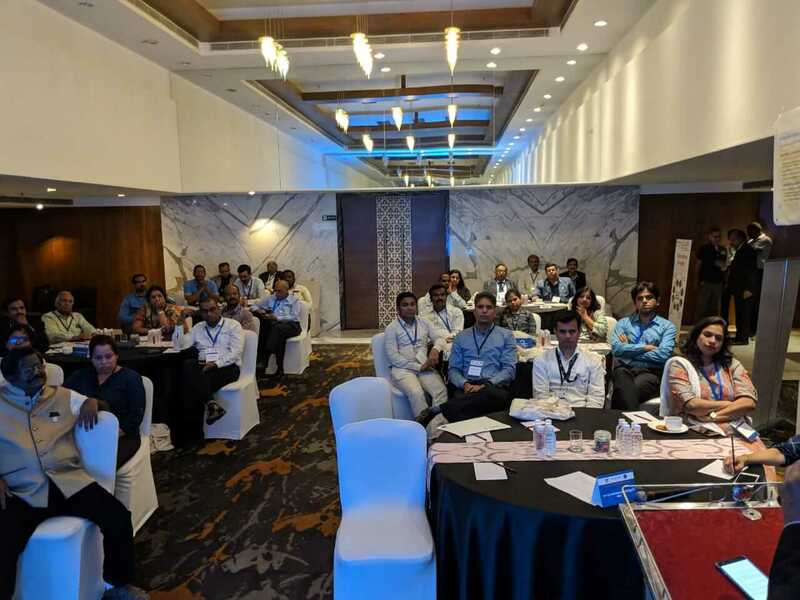 Designed and conducted by Rtn Manoj Kabre, Vice President – RBWC, the event was attended by 22 CSR professionals from 16 corporates based out of Bengaluru. The event was compered by Ann Ms.Manali Kabre. Rtn Chandrasekharan S, RBWC President in his opening remarks, highlighted the need to position CSR as an opportunity to develop the community and not as corporate charity activity. Observed as World Polio Day worldwide, Rotary International Dist.3190 Secretary Rtn. 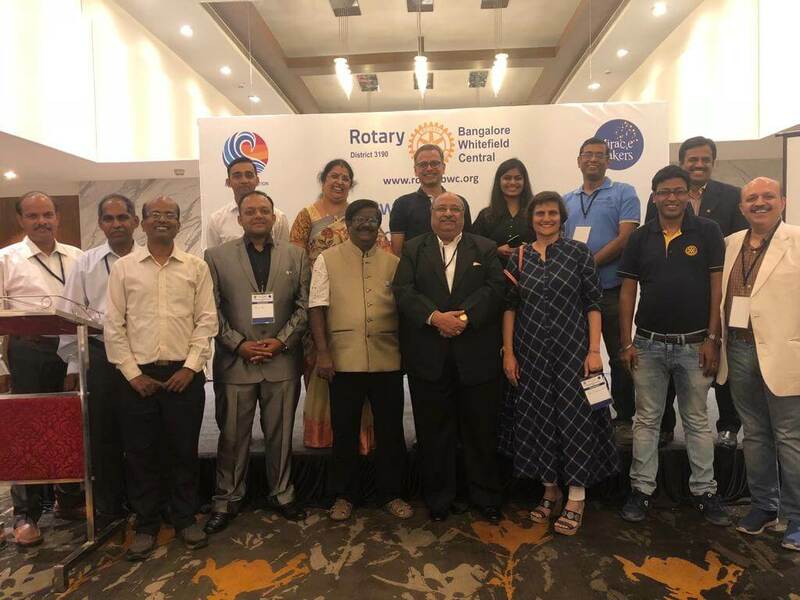 Karthik Reddy appraised the audience about the work done by Rotary on Polio eradication in India and most parts of the world except three countries. He solicited all-round support from the corporates and individuals to ensure that India continues to be Polio free and that the dreaded virus will be completely eradicated. 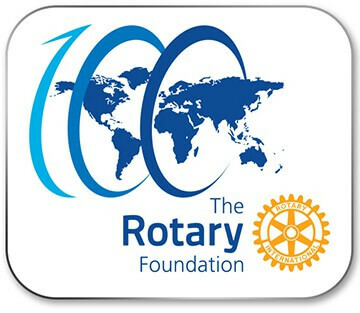 The Workshop format consisted of a brainstorming and networking effort through a collaborative approach to identify and recommend community service projects that Rotary and RBWC must focus on. Participants were split into six discrete groups, each corresponding to one of the Rotary avenues of community service, to discuss and deliberate within their group based on their experience and thoughts. RBWC will use these action plans as inputs to conceive, design and execute projects that were recommended by this workshop. Some corporates present committed to partner with RBWC in chosen projects. CSR professionals from eminent organisations like Akzo Nobel India, Conduent, Eaton India Foundation, Fullerton, General Motors, Harman, HCL Foundation, Schneider Electric Foundation, Sigmoid, Sumadhura group, TCS, United Breweries, United Telecom, UTC Aerospace Systems, VST Tillers & Tractors participated in the Workshop. The workshop was sponsored by Waterlife, one of the CSR implementation partners of RBWC. The workshop concluded with a vote of thanks proposed by Rtn. Sarada Chandrasekharan.